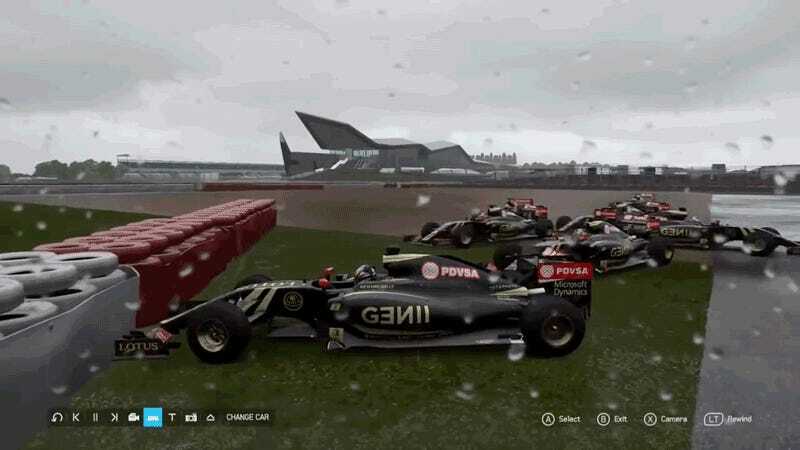 Everyone who’s ever played them knows that most Formula One video games tend to be a bit crap. Crappy graphics, crappy physics, and even crappier AI makes everything just bad. But Forza 6 has apparently gotten that last aspect precisely right. So here’s a bunch of Pastor Maldonado clones repeatedly smashing into a wall. There is clearly a Divine Presence, and truly He smiles upon us this day.